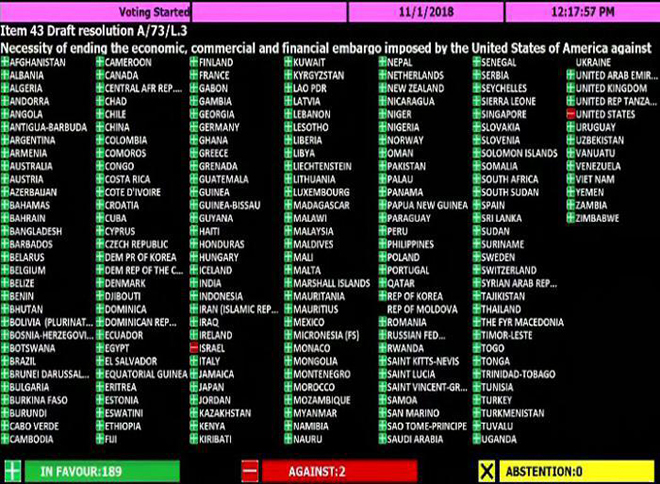 On the 1st of November, at the United Nations General Assembly voting, the international community once again almost unanimously condemned the U.S. blockade of Cuba. At 12:20pm, the voting started and 189 in favor of the Cuban resolution, two against (U.S. and Israel), with no abstentions. 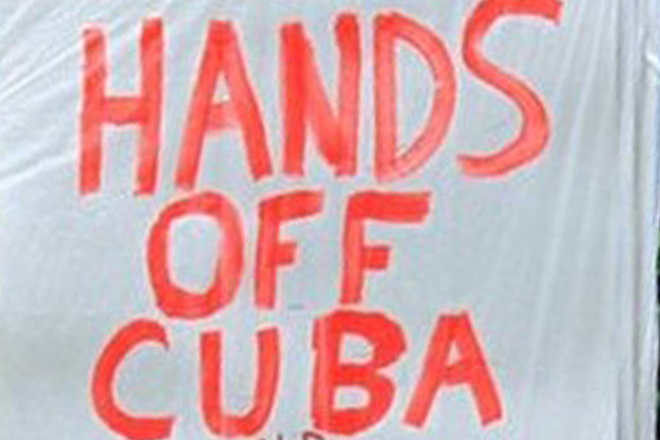 The progressive political movements led by leftists all over the world voiced their discontent regarding the new steps taken by the Trump administration to reverse the positive steps taken by previous Obama administration to repair ties with Cuba. However, US administration as well as that of Israel still continue ignoring the opinion of the world.